Teaching: “Meat Science & Technology”; “Avicoltura e Coniglicoltura". Traineeship activity in "Poultry farming" forwarded to 3rd year Vet. Med. students. Supervisor of 32 MSc thesis (16 Erasmus); co-supervisor of 6 traineeship projects (2 Erasmus and 1 from Chihuahua Univ., MEX). Offered 7 lectures in France (ENSAT), 2 in Argentina (FAUBA), 1 in Hungary (Kaposvàr Univ), and 1 in Belgium (Gent Univ) to MSc students. Academic member of the Doctoral School of Animal Science of Kaposvàr Univ. (H) since 2013. Supervisor of 2 PhD and 2 post-doc grants, co-supervisor of 4 PhD and of 4 post-doc grants. Erasmus+ KA107 Flow responsible with Stellenbosch University (South Africa), Kasetsart University (Thailand). 1996-2015: Erasmus Flow responsible of 12 Bilateral Agreements with Agriculture and 2 with Vet. Med. Schools. 2012-2015: Coordinator of the International Activities Commission of the MAPS Dept. 2013-2015: Vice-coordinator of the Erasmus Commission for the Agriculture & Veterinary Medicine (A&VM) School. Delegate for the A&VM School at the Erasmus Commission of Padova Univ. Supervised: 1 MSc student (6 mo.) and 1 technician (1 mo.) from Stellenbosch Univ. (COOPERLINK 2010), 1 post-doc candidates from Philippines (10 mo., Erasmus Mundus EMMA 2010) and from Egypt (6 mo., EM Action 2 ALFIHRI - 2011). Managed the 3-month teaching activity of a Visiting Professor (L.C. 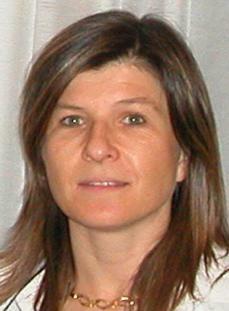 Hoffman) funded by CARIPARO, and 1 6-month Visiting Professor (A. Renteria Monterrubuio) funded by Padova University. Co-funded 3 one-month Visiting Scientist grants: E. Puolanne (Helsinki Univ. ), J.W. Savell (Texas A&M Univ. ), Zs. Szendrö (Kaposvàr Univ.). Managed 2 three-week visiting scientist: M.Y. Miah (Bangladesh Univ.). 2004: award “Premio Piccoli” for research activity (yrs 2003-2004) in Animal Sciences field. 2007: “Regional Award for Innovation 2007”. The scientific activity is proved by over 300 publications in scientific journals and national and international congresses. Main research topics: effect of rabbit feeding, nutrition, housing systems, genetics, and technological factors on rabbit welfare, performance, meat quality. Organic rabbit farming, organic egg production. Use of dietary tannins, vitamin E, spirulina, herbs and spices, linseed, on rabbits health, live performances and meat quality. Formulation of petfoods for dwarf rabbits, guinea pigs, hamster and chinchilla. Designing functional foods of animal origin: ripened salami from ostrich meat, Rooibos tea leaves on ostrich salami and on rabbit meat, liquorice powder on rabbit meat, kiwi pulp, lemon juice and olive leaves extract on chicken meat, to test their antioxidant/antimicrobial effect. Use of CO gas to stun fish and effects on welfare, shelf life, fillets quality and sensory analysis. Use of the NIRS technology to estimate growth performance, meat quality in rabbit, duck, hen, fish, and to discriminate genetic origin, rearing system and stunning methods in fish. Study of the appearance of white striping and wooden breast defects on chicken meats. The use of insect oil and insect meal for rabbit and poultry feeding. Invited speaker in 13 International congresses. Scopus info (Author ID: 6603007504): 94 articles,1176 citations, h index 19. 1. Ante- peri- and post-mortem factors that affect behaviour, welfare, live performances, meat quality and shelf life in poultry, rabbit, fish species as well as hens' egg quality. 2. Use of insects in animal feeding. 3. Study of poultry muscle myopathies. 4. Use of herbs and spices in poultry and rabbit feeding.